This page is a General Instruction Page for our Master Cleanse Group Cleanse. Please check that page for details on our Quarterly Cleanses and our Individual Cleanses. 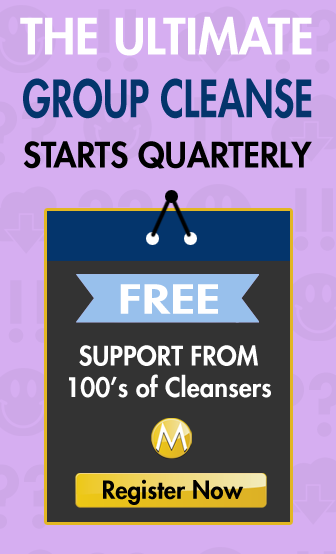 Use this page to post general comments and questions on The Master Cleanse Group Experience. The other pages are meant for the daily experiences of the registered users. I am sure that this is going to become hard to manage, but we'll see how it goes. Maybe I will move any misplaced comments to this category. Please feel free to comment on any other post that may be more specific to your question. Posts and Pages on this site become like forum categories in which discussions can take place. I really should publish a forum as well, maybe in the New Year. I am still looking for moderators, so if you are interested please leave a comment in response. Your name and email will absolutely never be sold or provided to another source without your permission. Your questions and comments may be used in other parts of this site, or in compilations to be published elsewhere on this site, on other sites I give permission to, or other means of publication. I just finished the entire master cleanse. I eased out properly and did everything right. The only time I started having issues was when I started eating regular foods again, i started feeling extremely low energy and weakness. Why is this happening? What’s going on? I just finished the 10 master cleanse and lost 17lbs.. I followed the advise from the site another participants to drink the mixture before getting hungry is great advice because once your body starts to react you can have a craving for food. It does work and help you resist the normal and bad eating habits.. I am on day 24, and my tongue is still fuzzy and coated, but not white. It’s more like the coffee color I used to get. I thought it was from the molasses, but not sure. Also, I have stopped using the salt water flush daily, as it made me retain water. Now I do the SWF once a week. I was taking the laxative tea twice a day, morning and night, but got worried about the warnings of continuing that for more that ten days (I am going for 40 days, or until my tongue is ok). How does all this sound, because this is my first cleanse? Also, how do I see answers to posted questions? Can I use a tongue scraper? Should I fast from all kind of food during the master cleanse? Is it drinking the juice all the time of the period? Is it okay to use a tongue scraper during the master cleanse? My husband and I started the cleanse on Thursday without ease-in. Had a bowel movement that day because I took a stool soften the night before. Since than I have not had another bowel movement. Friday night, I drink a diet tea. Now, it is Saturday and still not another bowel movement.. Of course, urinating a lot but that’s it. I haven’t drink the salt water because the first time I tried this cleanse, I did the salt water and got really sick, throwing up, etc. I will continue to do a laxative at night,, smooth move or a pill but how long should I go without having a bowel movement before stopping the cleanse? Or, is there something else I can do to help with the bowel elimination process? Starting the cleanse but concerned about muscle wasting and insulin response effects from taking in so much sugar. Appreciate any input ? Day 1: the lemonade is not as bad as I thought it would be but it does have that kick from the cayenne. I’m feeling very hopefully seeing all the positive comments thus far.I am a newbie and looking forward to feeling great! I am finishing a 10 day course of antibiotics and am supposed to start 3 day cleanse tomorrow. Is that ok.